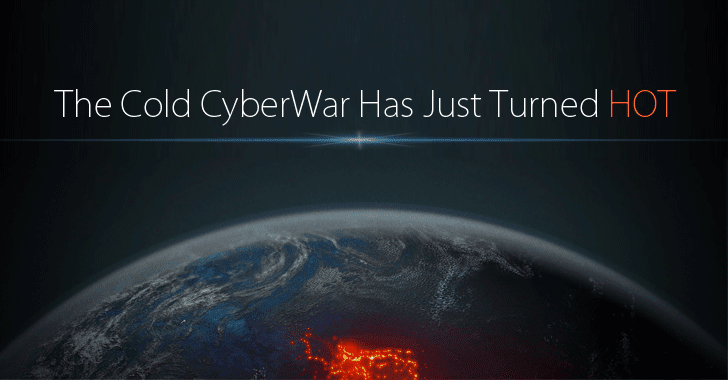 The cold cyber war has just turned hot. According to a story published today by the New York Times, Israeli government hackers hacked into Kaspersky’s network in 2015 and caught Russian government hackers red-handed hacking US government hackers with the help of Kaspersky. What the F^#% is going around? It is like one is blaming another for doing exactly the same thing it is doing against someone else. Wow! Well, the fact that everyone is spying on everyone is neither new nor any secret. However, somehow now Kaspersky Labs is at the centre of this international espionage tale for its alleged devil role. Just last week, the Wall Street Journal, an American media agency, published a story against the Kaspersky, a Russian antivirus provider, claiming that the Russian government hackers stole highly classified NSA documents and hacking tools in 2015 from a staffer's home PC with the help of Kaspersky Antivirus. Even if the incident is real, quoting multiple anonymous sources from US intelligence community, Wall Street Journal article failed to provide any substantial evidence to prove if Kaspersky was intentionally involved with the Russian spies or some hackers simply exploited any zero-day vulnerability in the Antivirus product. Now, the latest NYT story, again quoting an anonymous source from Israeli Intelligence Agency, seems another attempt to justify the claims made by WSJ article about Russians hacking NSA secrets. "The role of Israeli intelligence in uncovering [the Kaspersky Labs] breach and the Russian hackers’ use of Kaspersky software in the broader search for American secrets have not previously been disclosed," the NYT reported. According to the report, United States officials began an immediate investigation in 2015 after Israel officials notified the U.S. National Security Agency (NSA) about the possible breach. Indeed, in mid-2015, Moscow-based Kaspersky Lab detected sophisticated cyber-espionage backdoor within its corporate network and released a detailed report about the intrusion, although the company did not blame Israel for the attack. At the time, Kaspersky said that some of the attack code the company detected shared digital fingerprints first found in the infamous Stuxnet worm, same malware which was developed by America and Israel to sabotage Iran's nuclear program in 2010. This suspicion of malicious Kaspersky’s behaviour eventually leads the U.S. Department of Homeland Security (DHS) to ban and remove Kaspersky antivirus software from all of its government computers. Moreover, just last month, the U.S. National Intelligence Council shared a classified report with NATO allies concluding that the Russian FSB intelligence agency had access to Kaspersky's databases and as well as the source code. However, Kaspersky Lab has always denied any knowledge of, or involvement in, any cyber espionage operations. "Kaspersky Lab has never helped, nor will help, any government in the world with its cyberespionage efforts," Kaspersky's founder Eugene Kaspersky said in a statement. Eugene today also announced that he has just launched an internal investigation to cross-check if United States LEA has relevant facts. Eugene previously admitted there's a possibility that NSA hacking tools could have been picked up as malware by their Anti-malware scanner because antivirus products are designed to work in that way. "We absolutely and aggressively detect and clean malware infections no matter the source," the antivirus company said. Until now it is quite tough to judge if Kaspersky was involved in any wrongdoing, but the ball is in America's court, who has to provide the actual evidence to the world about the highly classified Israeli counter-intelligence operation.